We are instrumental in offering a qualitative range of Straight edges that are used for checking surface flatness of large precision area. Straight Edges have been designed well and ribbed in the best manner to retain their accuracy under varying conditions and are as light as possible without sacrificing rigidity. 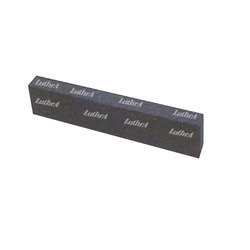 Our range of straight edges includes cast iron straight edges, engineers steel straight edges, prismatic straight edges, triangular straight edges, tool maker edge, knife edge, light weight aluminum straight edges and granite straight edges. 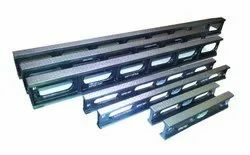 We are one of the well-known manufacturers of Cast Iron Straight Edges that are widely used for erection, commissioning and leveling purpose. I- section straight edges is used to checking the surface flatness of large precision area such as surface tables and machine tables etc. 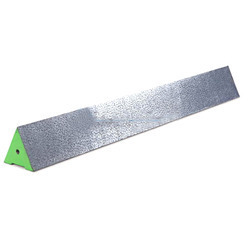 Cast iron straight edges are also used for blue matching during hand scrapping operations .I-section straight edges have the wide and parallel working surface for application of spirit level. 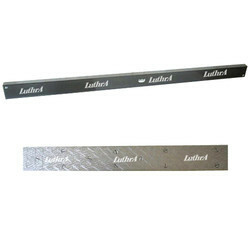 Luthra I –Section straight Edge are made as per IS 5268:1991 Grade-1. Castings are stress relieved either by natural aging or by artificial seasoning. Hand scrapped for surface finish of Grade-1 accuracy. Wooden covers are provided with each straight edge to protect working surfaces. Safe storage wooden box can also be provided on request at extra cost. Actual dimensions of Straight Edges may be more or less than those mentioned in the table below therefore the sizes and dimensions of straight edges of the same length may vary. Only match pair Straight edges will have the same dimensions (i.e. overall depth). The flatness and parallelism will be within specified limits of the standard and those can be used as Matched pairs. 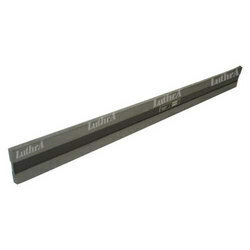 I-Section Straight Edges are supplied with computerized calibration certificate traceable to National Physical Laboratory (NPL, Govt Of India ) New Delhi. Looking for Straight Edges ?